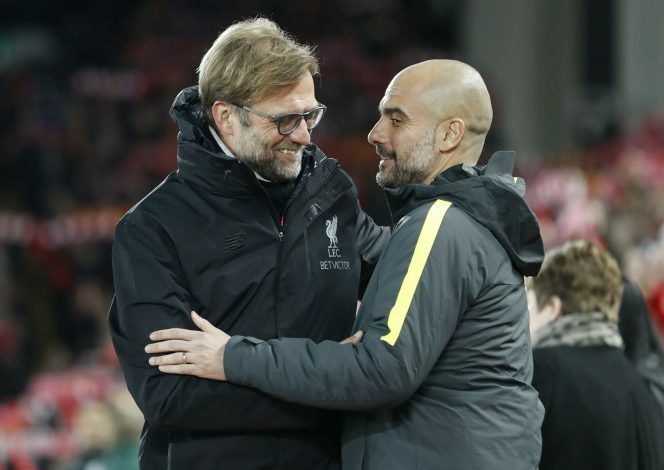 When Manchester City appointed the iconic and renowned trophy winning manager in the shape of Pep Guardiola in the summer last year, the club’s cabinet might have been ready for a little silverware to come its way, a feat which was eventually not achieved. The former Bayern Munich and Barcelona boss came to England with a know-it-all knowledge on how to win accolades at the club level and play beautiful attacking football that other teams envy and cannot compete against, and was hence, tipped to take City to new and untouchable heights and do so immediately. When the campaign kick started with 10 wins out of 10 in all matches for his side, things seemed to be going on the track expected, as the club marched on towards greatness, But the path soon met with unplanned disturbances and misfortunes. The first sign of trouble in Pep’s debut season at the Etihad began to appear when he had a disagreement with Joe Hart on how good the keeper was with ball in his feet rather than in the gloves, and if he was the man to fit under Guardiola’s style of football in the time to come. This bust up between the player and the boss resulted in their number 1 shot stopper leaving for Torino in the Serie A – a move that did not go down well with fans and others involved. Things further seemed to worsen when the boss publicly slammed the team’s main man in midfield, Yaya Toure, and refused to play him until the Ivorian came up with an apology. Only after did the player do so, did he start to feature in matches towards the second half of the season. 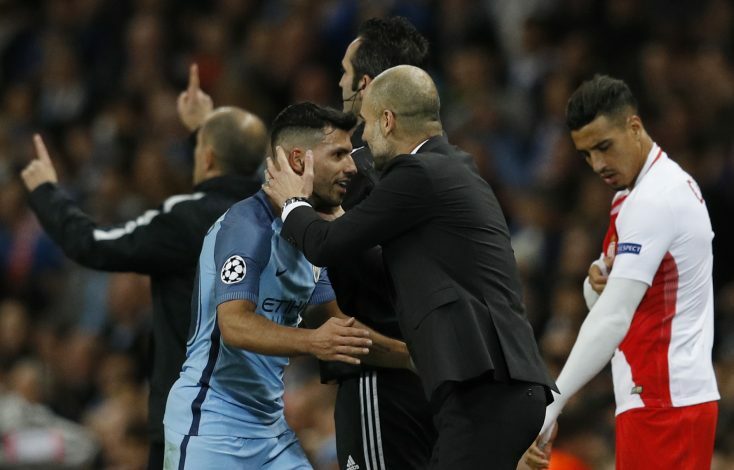 The boss did not help matters after being unsure with the club’s greatest striker, Sergio Aguero, and his position in the team, and if not for new boy, Gabriel Jesus’s injury, the Argentine might have seen himself heavily out of favour and game time in the latter parts of the campaign. With three of their most important members, who were vital contributors to their previous title winning campaigns, not on good terms with the manager, and captain Vincent Kompany troubled with consistent injury woes, finding a winning formula was never going to be an easy task to achieve, and that is exactly how it turned out to be. When Pep and his squad beat local rivals Manchester United on the way to a 6 out of 6 match winning start in the League, nobody would have predicted their season to end without them lifting the coveted trophy. However, a loss to Tottenham Hotspur in the beginning of October signalled a downfall that would soon see them head out of the title race in no time. This began a horrid run for the team, as it witnessed them dropping points against Everton, Southampton, Middlesbrough, while losing to Crystal Palace and Chelsea in the weeks to follow. This poor run had them go from title contenders to top 4 battlers within a span of two months, and the form shown by Chelsea and Tottenham meant that nobody was catching up to those two in the fight for the title. The team kept on losing vital matches during good runs, which meant inconsistency was their downfall. 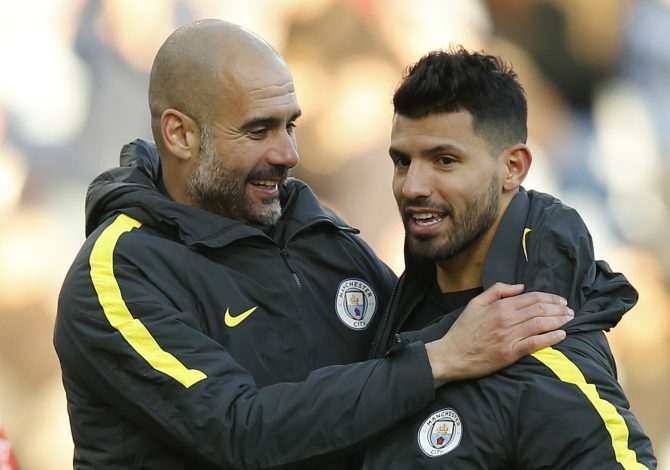 Grabbing goals also became a worry, as only Sergio Aguero ended up with double figures to his tally in the League with 20 goals, which was followed by Jesus’s 7 in second position. A major reason of a poor League season was the uncertainty at the back of the line in Pep’s squad, which was underlined by Claudio Bravo’s arrival and utterly poor statistics since then. They eventually finished 3rd in the table after a topsy turvy campaign with a points total of 78, two ahead of Liverpool in 4th, and 15 behind winners Chelsea. Landing this elusive prize was the primary factor to reel in a man of Guardiola’s expertise, but what the owners might have considered to bring immediate effect, will have to wait at least another year to actually happen. 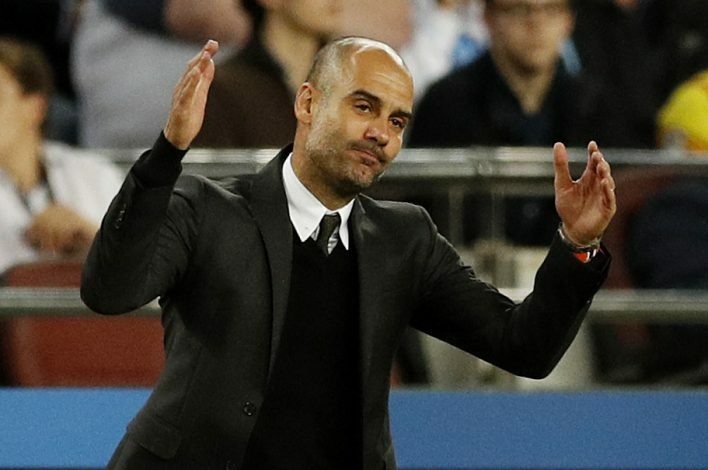 The competition kickstarted in poor fashion as Pep was up against Barcelona in the group stages, and that clash did not go anywhere near as planned. His side were comprehensively defeated at the Camp Nou, a loss that was, however, later avenged by a 3-1 home win at the Etihad. The team from England could manage to come up with only 2 wins in the group stages, which proved miraculously enough for them to progress into the round of 16. That was as far as they got though, as their weakness at the back was exposed by the young and attacking Monaco side from France, and all hopes of a major European trophy came crashing down much earlier than anticipated. The EFL Cup was a sheer disappointment for the City fans, as it not only saw their team take an exit in only the fourth round of the competition, but it was worse as it came through a 1-0 defeat at the hands of neighbouring and biggest rivals Manchester United. As the hopefuls turned towards the FA Cup for some respite, a good encouraging run into the semi-final was ended in a surprising defeat to Arsene Wenger’s Arsenal. Pep Guardiola surely has understood the level of intensity, pressure and competition that varies from all the leagues in the world as compared to England, and after having a poor season, with it being the first time ever he has ended up without a trophy, a massive summer turnaround in the squad is an inevitability waiting to happen. 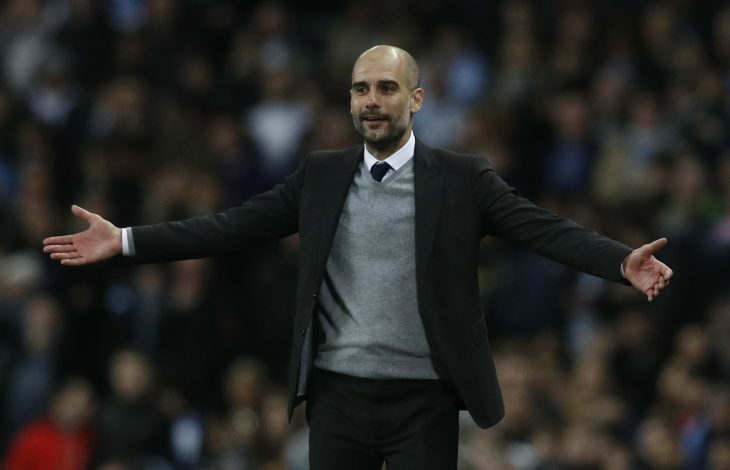 Manchester City have money, players, and a manager to bring home some much-needed glory, and if that does not happen next season, no excuses will be enough to save Pep from a sure sacking.